Vitamin B6 helps metabolize lipids, carbohydrates, and proteins into energy. 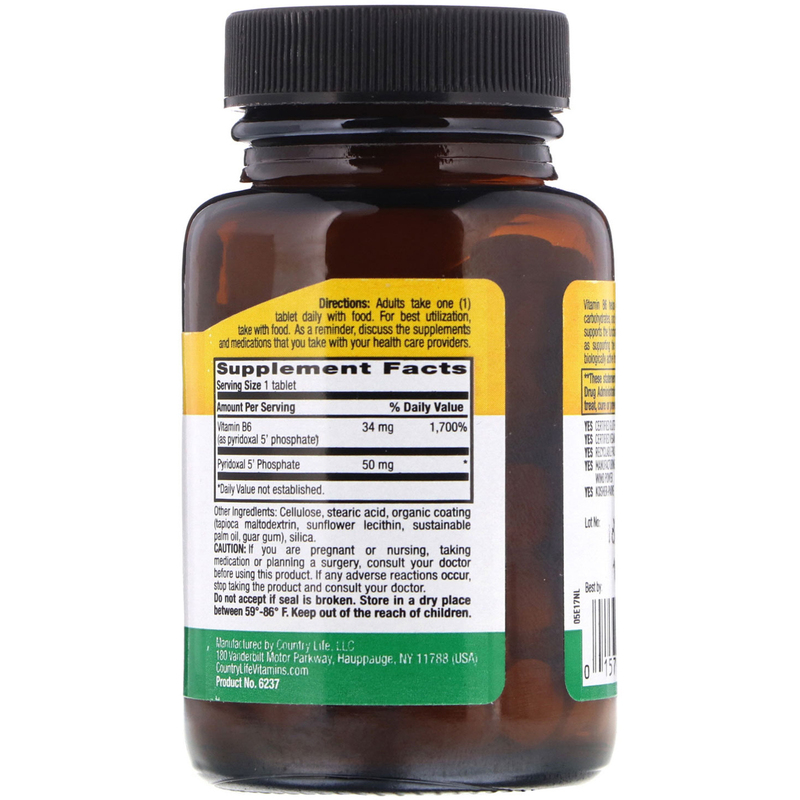 It also supports the function and growth of red blood cells as well as supporting the nervous and immune systems. 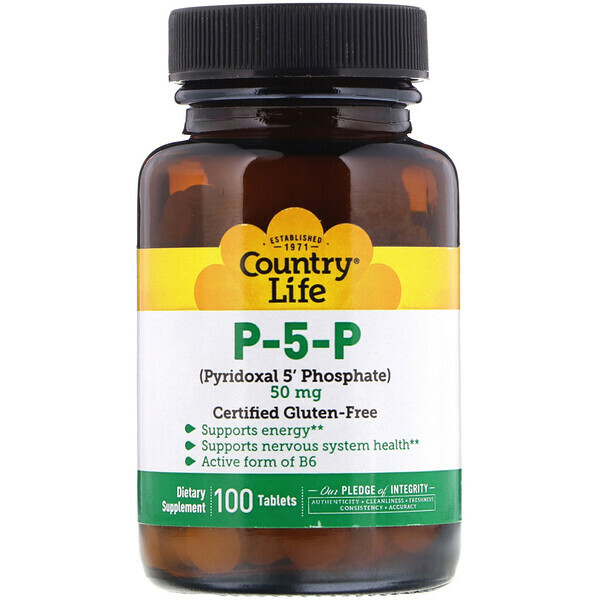 P-5-P is a biologically active form of vitamin B6 and is utilized by the body. Adults take one (1) tablet daily with food. For best utilization, take with food. As a reminder, discuss the supplements and medications that you take with your health care providers. Cellulose, stearic acid, organic coating (tapioca, maltodextrin, sunflower lecithin, sustainable palm oil, guar gum), silica.